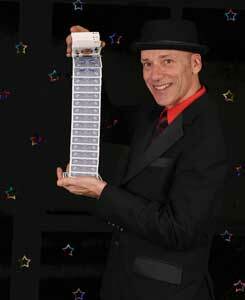 Very Funny Interactive Comedy Magic Entertainment for Corporate Events, Private Parties, Weddings…and so much more! What is a Comedy Magician? What is a comedy Magician? Well, the answer is going to be different depending on whom you talk to and really if you are searching the internet for a comedy magician then what are your expectations. 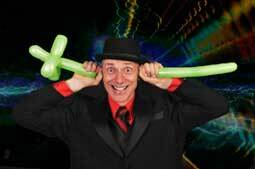 Brisbane Entertainer – Comedy Magic Stage Show. Brisbane Entertainer – Roving Magic. When I say suitable for a corporate audience, what I mean is that I am not using corny hackneyed lines, I am well presented in a nice suit, not a old 1970’s shiny jacket. The magic is modern and contemporary using cutting edge techniques and skills to create some truly mind blowing magic that will wow the audience. It is important that a good comedy magician treats the spectator and participants with respect, some don’t, so here are a few tips on how to hire a Brisbane comedy magician. A show reel is a must, ask to see a video of a recent performance, you can tell a lot by watching how the entertainer interacts with the audience, the sort of humour used and the kind of personality the magician has. Ask around, you may find that friends or colleagues have seen the magician elsewhere or know of the magician, you cannot get any better guide than others first hand experience. Testimonials are certainly worth looking at and it is quite reasonable to ask for the contact number of one of the testimonials and get a first hand report. 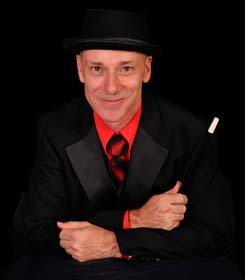 When talking to the magician do they sound helpful, friendly, professional, experienced. Price is something that you will have to consider, but do not think the most expensive comedy magician is the best performer and entertainer. Most performers of good standing fall into a standard price range, some beginners, amateurs, inexperienced or poor performers try to get work by quoting a very low price…so be aware that you often get what you pay for…some are very cheap, for a very good reason. Ultimately you want the comedy magician to create some fun and excitement at your function without humiliating your guests, you want a seasoned, confident performer with a genuine nice, friendly personality. A comedy magician certainly is a good option to entertain a corporate crowd especially because of the interactive nature of comedy magic as opposed to a straight comedian whose humour may not be to the liking of all guests. Value for money I don’t think there is a better option for general entertainment of a large mixed group of people. Comedy magician, Glen Rhodes has been a comedy entertainer for over 20 years and has performed at literally 1000’s of shows…book him with confidence. We would like to thank-you for performing such a magical show for us. I received many comments on the night as well as yesterday asking where did I find such a brilliant magician? Everybody thoroughly enjoyed your show. Once again thank-you so much!!! Keep up the good magic !!! The feedback has been that everyone loved your show and thought it was a great surprise, it went over really well. I heard a lot of our Senior Managers were like little kids at Christmas, which is scary and funny at the same time. And I had quite a few people asking where the balloon went that you swallowed, so I told them its magic and top secret. Seriously several of them have been trying to work out how you do things and they are dumbfounded, so that should be a compliment to you. Thank you so much for coming out and performing for us and if we ever need a magician again, youll be on top of the list. Many thanks, you were fantastic!. Our corporate clients were very pleased with your skills and Im sure you will hear from some in the very near future. Your magic was certainly amazing and left us wondering! Thank-you for coming to our function on Friday night at the Paddo. You were great and all of the party goers were very impressed with your magic, even though I think a few of them thought they could catch you out, they just couldnt. You were great and I will definitely recommend you to other and hopefully be able to use you again for future function.